A signal indicating that the boson decays into bottom quarks had been difficult to pick out from data. The two largest experiments at the Large Hadron Collider (LHC), ATLAS and CMS, have observed a previously undetected way that the Higgs boson can decay — into an elementary particle called the bottom quark, and its antiparticle. The same experiments, based at CERN, the European particle-physics laboratory outside Geneva, Switzerland, first discovered the Higgs in 2012. The boson, which is a key part of the mechanism that gives other particles their masses, put in place the final piece of the standard model of particle physics. 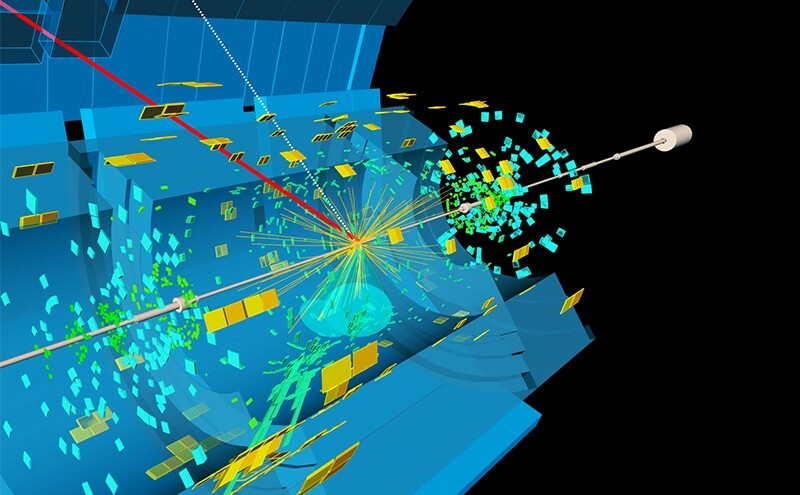 LHC researchers have accumulated evidence of the particle decaying into a variety of products, following theoretical predictions, including into two photons and an electron–antielectron pair. In June, researchers revealed that they had also seen the Higgs interact with the top quark, the most massive known elementary particle. The bottom-quark decay, announced on 28 August, is expected by theory but the signal had been hiding in the data, because the interaction is difficult to single out from the many other processes that can also produce those particles.